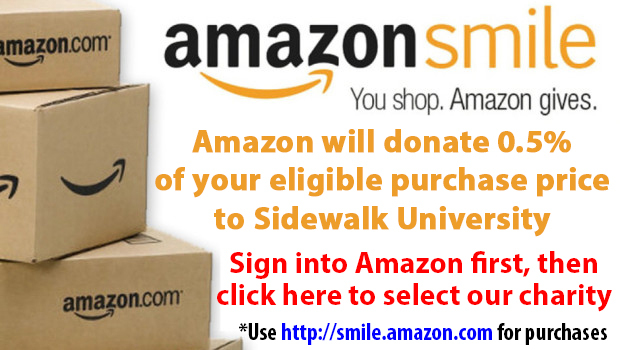 Sidewalk University's School of Economic Empowerment mission is to improve people's economic condition. Many Americans have trouble managing their money, because they were never trained properly. They did not get the financial training they would need in life when they were in High School, so they ended up learning by trial and error, which frequently leads to bad choices. Another problem is that about one third of high school graduates do not go to college immediately after graduation. When those young people join the workforce and begin saving, they learn the financial rules of the road the hard way from the school of hard knocks. They become prime targets for almost any kind of credit card, insurance or finance scam that comes along. They should not have to suffer the pain of financial illiteracy. People need to learn the saving and investing skills that will help them succeed in our capitalist society. We partnered with "Aspire High", a non-profit organization that focuses on increasing high school graduation and young women leadership. Learn more, and see the Aspire High Business Plan.